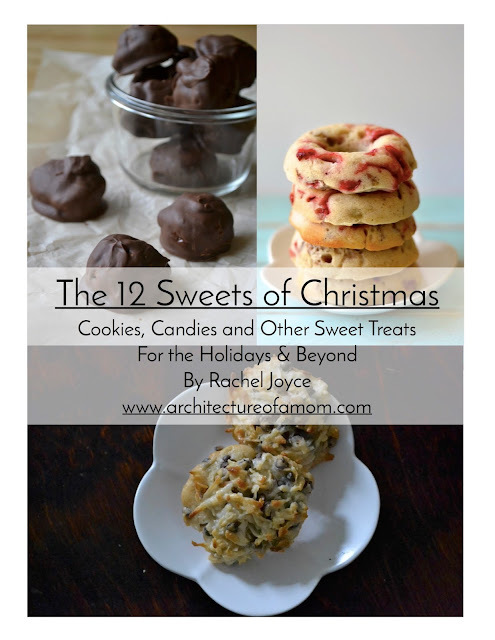 Architecture of a Mom: Why I Love My Silhouette & An Awesome Giveaway! 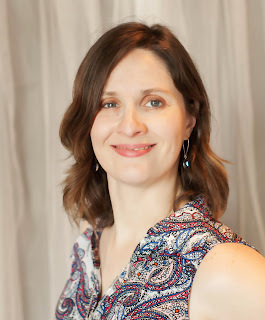 Why I Love My Silhouette & An Awesome Giveaway! Hi folks! 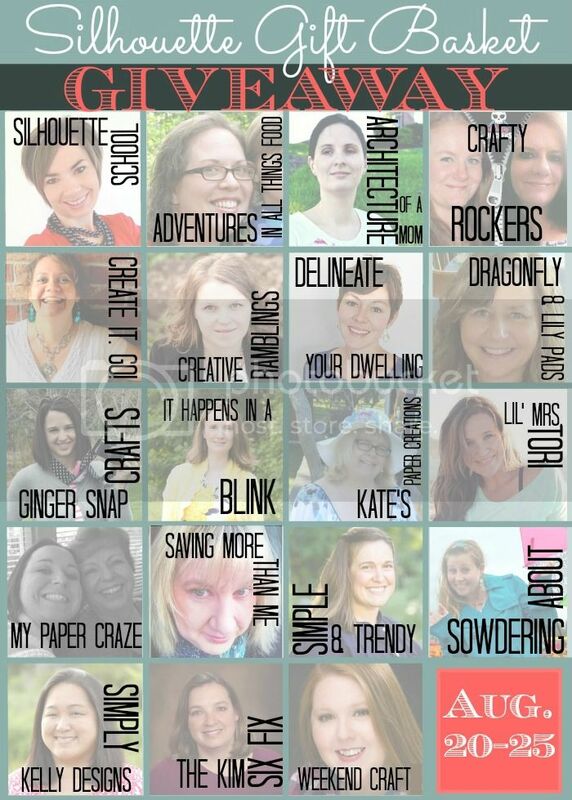 I'm super excited today to share my "secret" craft tool--my Silhouette Portrait...and a giveaway! Anybody who reads Architecture of a Mom with any regularity is laughing--I use my Silhouette all the time. I've etched tile, made bookmarks, decorated for the holiday...and the list goes on. If you want to check out all the projects I've done using the Silhouette, you should check them all out here. But what is a Silhouette? Basically, you can create any graphic or text you want with your computer, and then the Silhouette acts like a printer...that can cut instead of print. My most recent project was bookmarks for my oldest. My favorite project? Probably etched coasters! But enough of that...anyone want to join me and some of my favorite blogging buddies for a Silhouette Gift Basket giveaway? 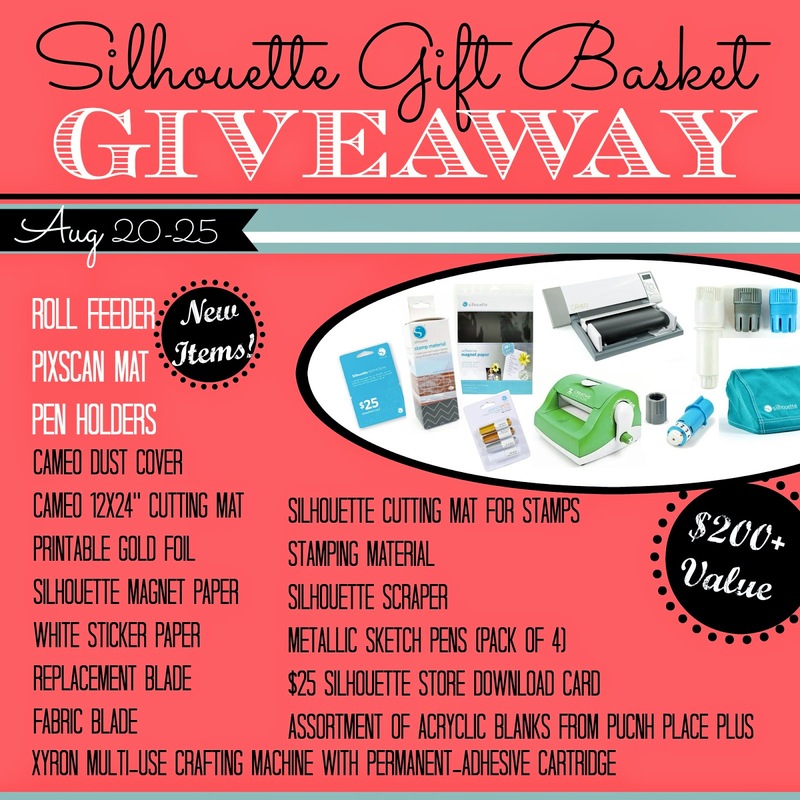 You know you want to win all of these amazing goodies...including some of the newest supplies from Silhouette, including the new roll feeder, pixscan mat, and sketch pen holders and a lot of other fun and amazing supplies! Just follow the instructions of the Rafflecopter widget to enter!